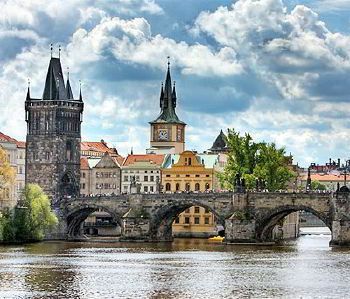 Bus tours to Prague is an excellent opportunity to get acquainted with the charming places and picturesque castles of the country. At this place, each traveler will be able to see unusual museums and beautiful palaces, famous monasteries and unique monuments of nature. Those who plan to visit Prague and see the most beautiful castles of the Czech Republic have to hire a coach with driver. This service will help to understand more of the fantastic places such as magnificent monuments of architecture and plenty of picturesque landscapes. But firstly each tourist have to think about how to get from the airport to the hotel, to a castle chosen for visiting or to another attraction of this marvelous place. Prague journey will be as comfortable and exciting as possible with this transfer service. The service organizes bus passenger transportation on highly comfortable, reliable buses for large tourist groups. The bus parking consists of large, modern buses equipped with all the necessary attributes for a pleasant trip. Transportation services in this region include transfers, excursions, tours, meetings of delegations, corporate events, school excursions and much more. A bus tour is the most exciting types of tourism. Traveling by bus, allows attending many exciting places, seeing people on the streets of the city, feeling like a real traveler. During bus voyage, passengers can admire the views outside the window, listen to the guide, watch TV, enjoy music or communicate with other travelers. Fantastic chance to spend a vacation with a big company in the most reasonable way is to use bus renting service. During such a trip, on the road into the best vehicle, each tourist will be able to enjoy it in full. The number of seats in buses of this service varies between 24-60. 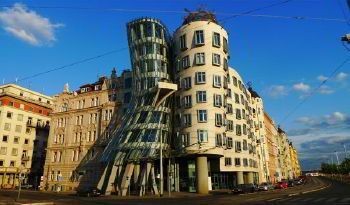 Therefore, each tourist is free to pick the number of places due to the number of people going on vacation to Prague. Coaches of this service have everything for the most extensive business, commercial or tourist trips. Modern, comfortable vehicles are equipped with the most necessary options for the needs of passengers. It’s not the whole list of all the conveniences this service provides to its clients. 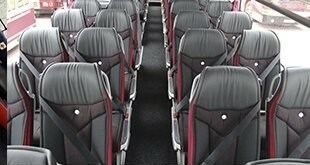 Moreover, service guarantees complete safety during a bus tour. The passengers don’t have to worry about anything. Each bus is regularly checked by professional mechanics who are responsible for its excellent condition and proper functioning on the road. Cleaners keep salon of coaches on the high level of cleanliness. Therefore, the passengers will feel themselves comfortable being inside perfectly clean, modern styled convenient salons. 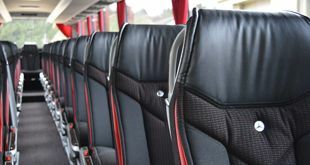 Service offers bus renting with professional chauffeur – the person who will guide tourist group through Prague making this trip even more perfect. It will make each tourist feel twice safer, more confident in an unknown country and will noticeably save time. All bus drivers of this service are licensed and have a great experience driving on the road for many years. Each of them is polite, friendly, intellectually developed person with no bad habits.